Nov.17 Manhattan Mass arrests at Occupy protests Map of Brooklyn Bridge USA Several thousand demonstrators have marched across Brooklyn Bridge on a day of protest that has seen solidarity rallies across the US. A panel of 7 men and 5 women took two days of deliberation to reach a verdict. Murray, 58, could now receive a maximum prison term of 4 years. 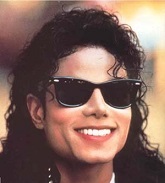 Michael Jackson died from an overdose of the powerful anaesthetic propofol. Several thousand demonstrators have marched across Brooklyn Bridge on a day of protest that has seen solidarity rallies across the US. Nov.28 Pakistan Prime minister issues a warning to U.S.